Rabbits Unlimited Limited is a nonprofit 501(c3) organization dedicated to fundraising activities in support of the Multiple Sclerosis Society as well as other disability serving causes. Each year on the first Saturday in February, teams of hunters gather for a morning of rabbit hunting and then join other supporters and volunteers for an afternoon of raffles, auctions and other games as well as great food and beverages. 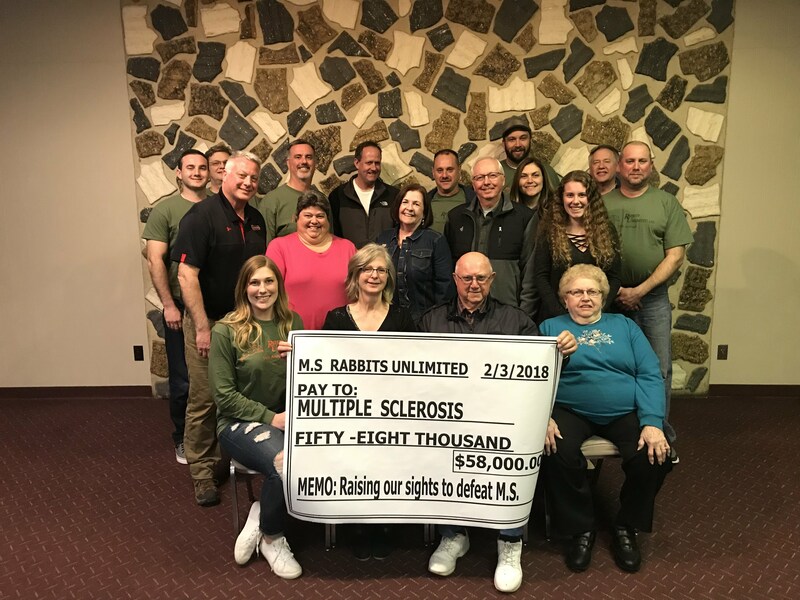 The generous support results in a fundraising effort that makes the Rabbit Hunt one of the biggest and most successful MS events in Wisconsin. In 2018, the 16th event was so successful that the organization donated $58,000 to the MS Society, bringing their year-to-date donation totals to $418,000! The next event will be Saturday, February 2, 2019 at Circle B in Cedarburg! This entry was posted in Uncategorized by davecrass. Bookmark the permalink.